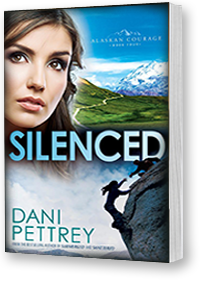 Don’t miss this latest book in Dani Pettrey’s series! She is a wife, home-schooling mom, and the acclaimed author of the romantic suspense series Alaskan Courage, which includes her bestselling novels Submerged, Shattered, Stranded, and her latest release, Silenced. She feels blessed to write inspirational romantic suspense because it incorporates so many things she loves–the thrill of adventure, nail biting suspense, the deepening of her characters’ faith, and plenty of romance. She and her husband reside in Maryland, where they enjoy time with their daughters, son-in-law, and super adorable grandson. Don’t miss her Pinterest board for the book. Such fun! March New Releases Clash of the Titles–Come Vote! Thanks for your wonderful post, Sherri! What a blessing you are. Thanks so much for the shout out. I deeply appreciate your support 🙂 Have a great weekend! Woo! This is awesome. Thank for for sharing and for being such a stalwart help and supporter. We so appreciate you. I’m happy to host Dani any time! !